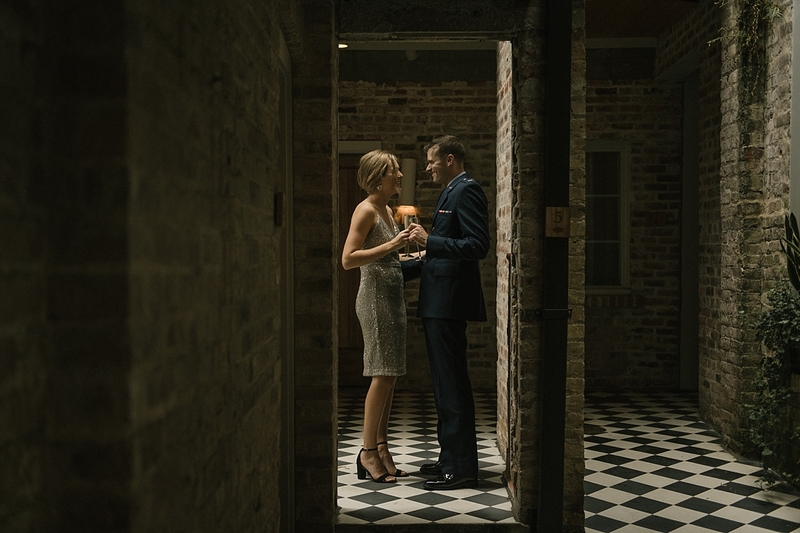 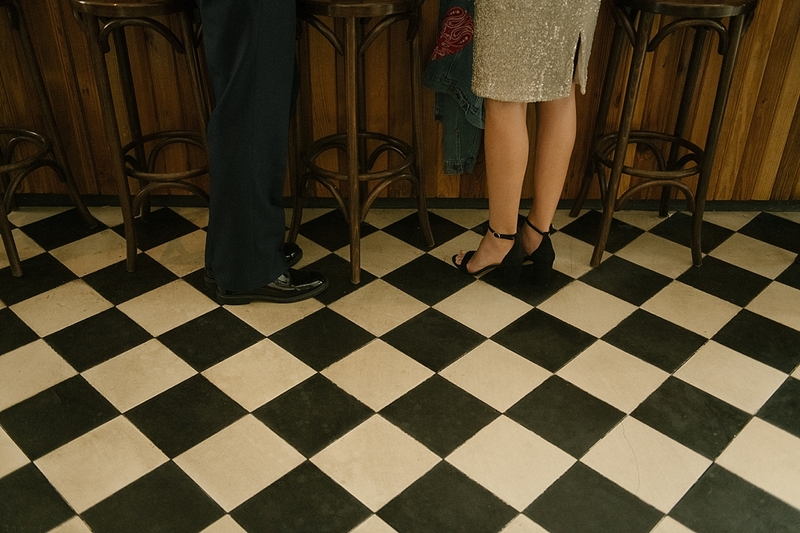 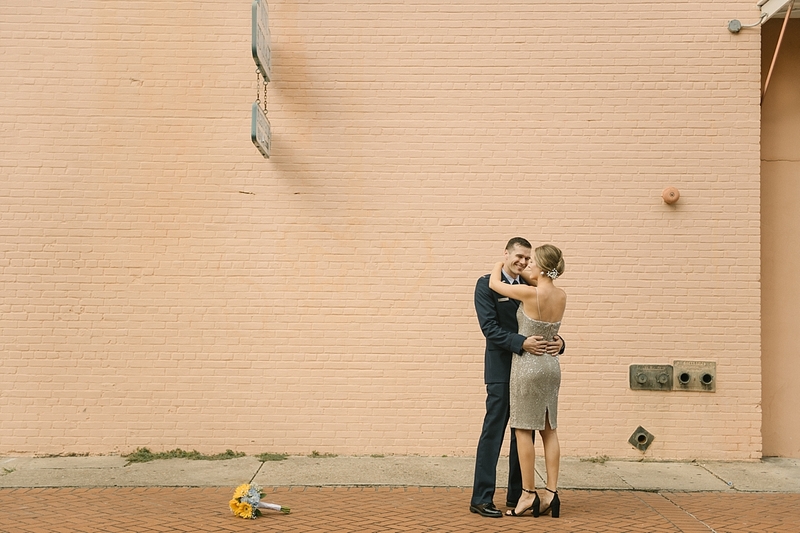 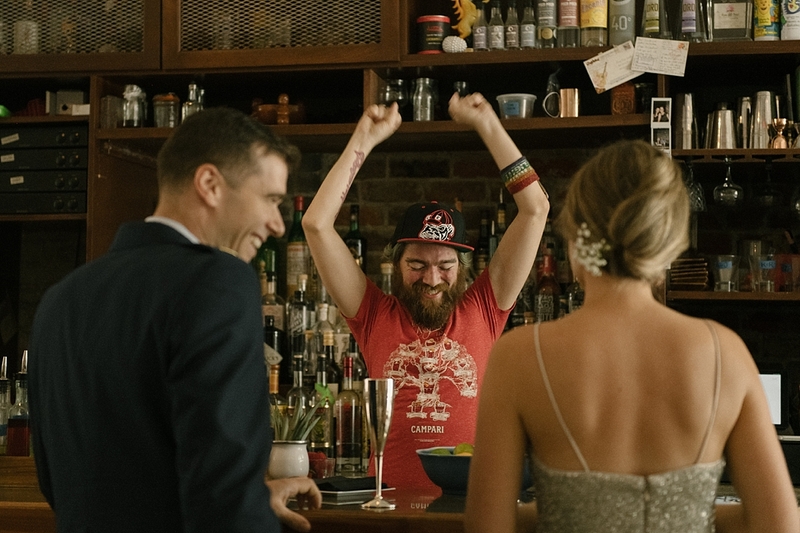 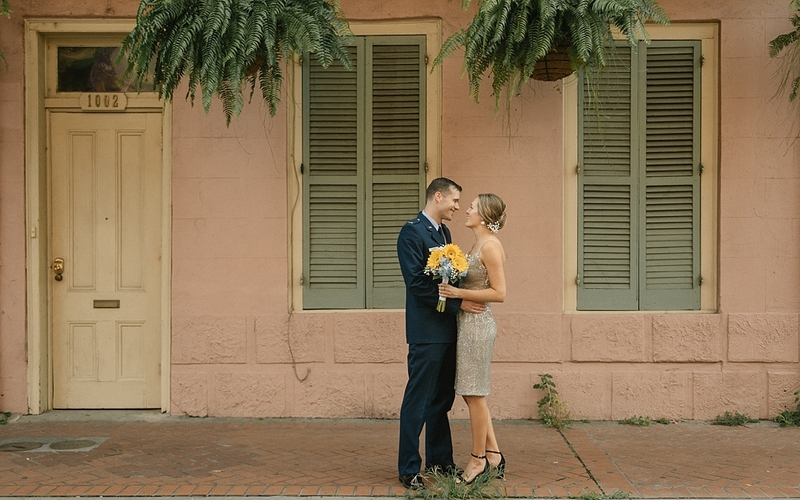 When Lana and Rivet got in touch about their French Quarter Wedding Chapel elopement I was full of excitement. 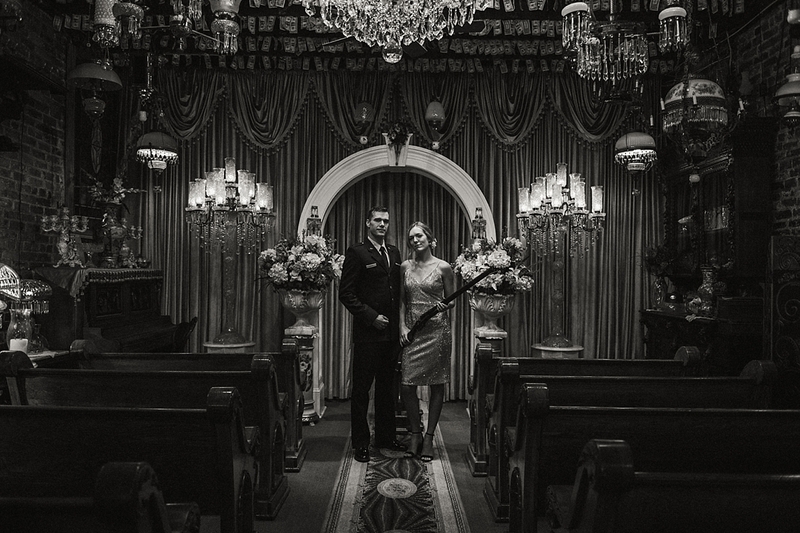 Prior to their elopement, I had only seen photos from the chapel. 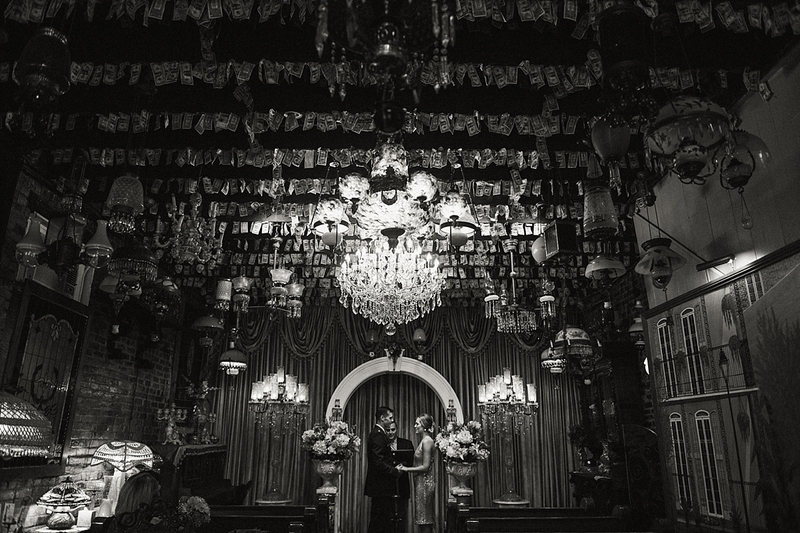 However, I knew it was New Orleans summed up into one incredibly overwhelming room. 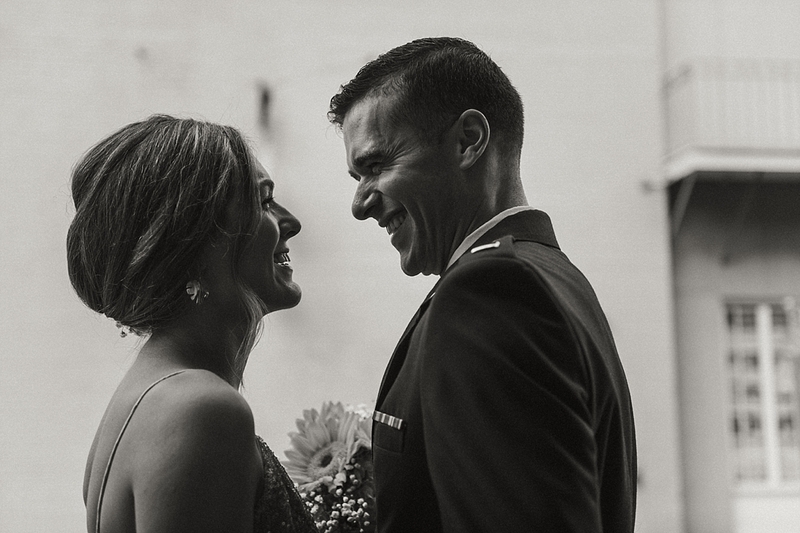 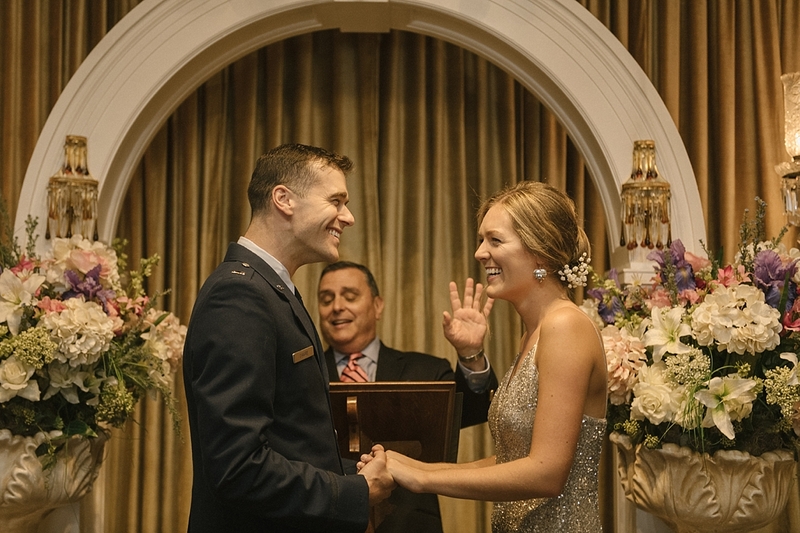 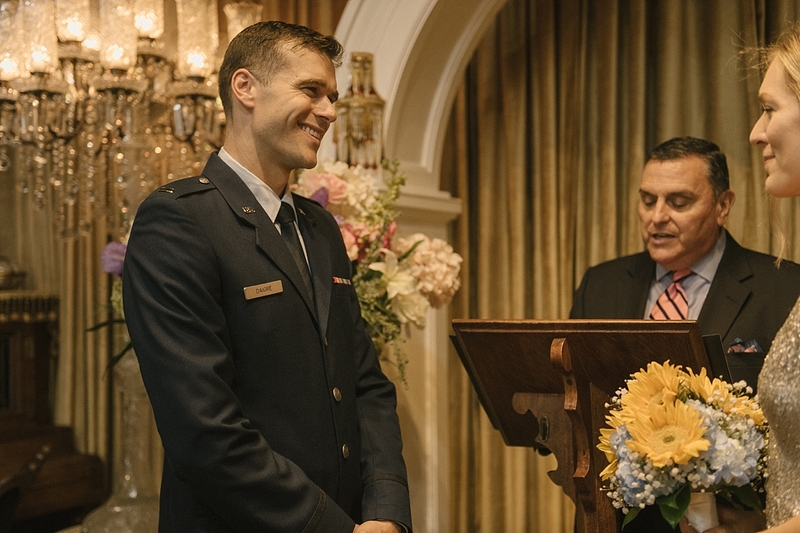 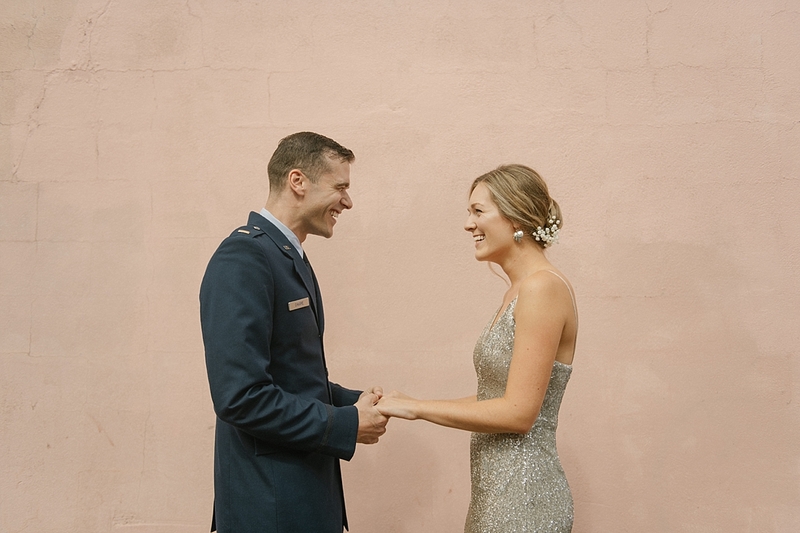 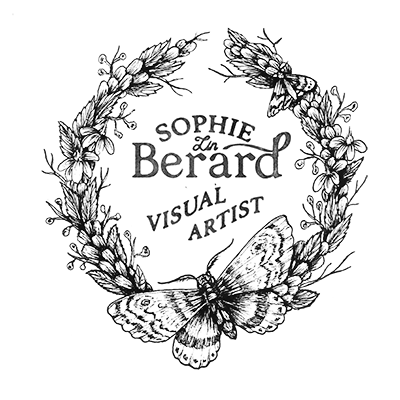 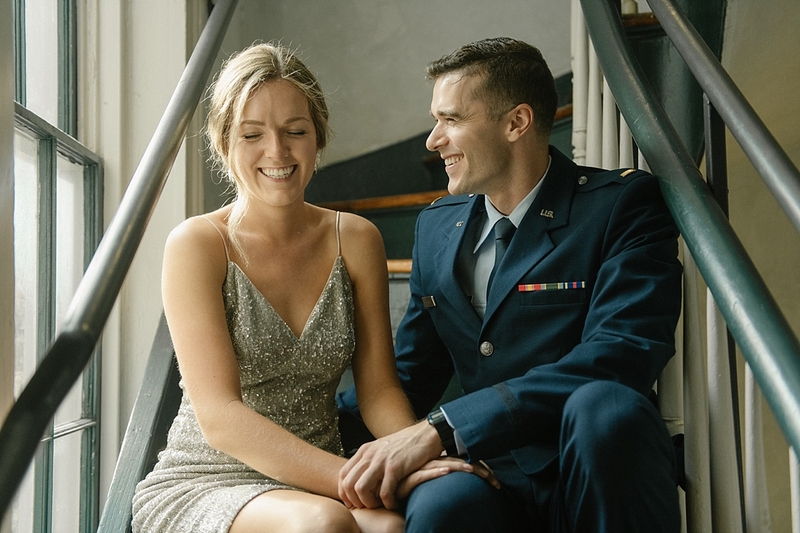 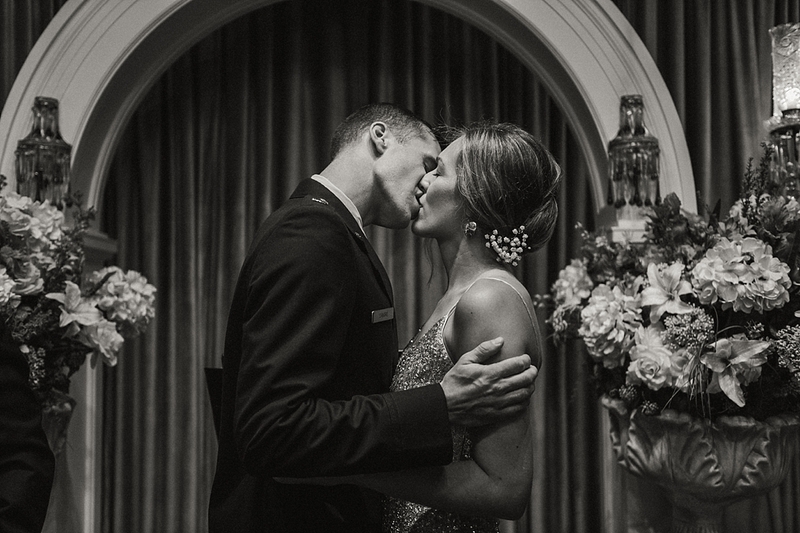 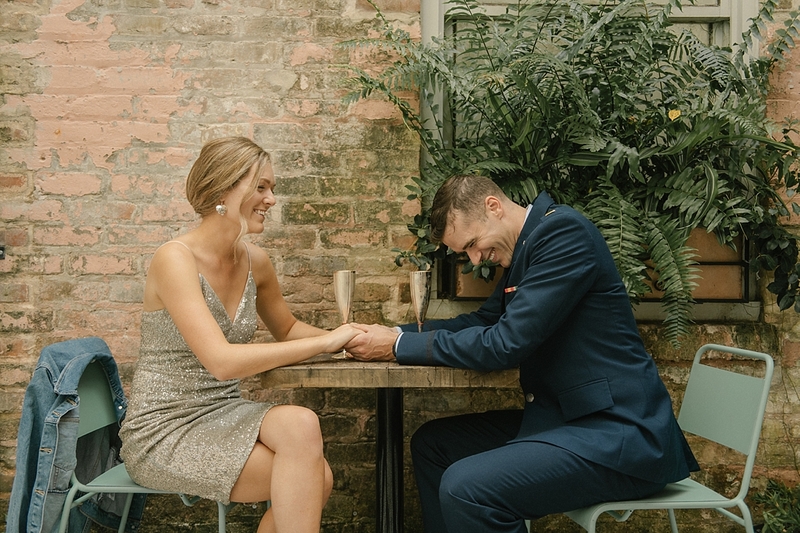 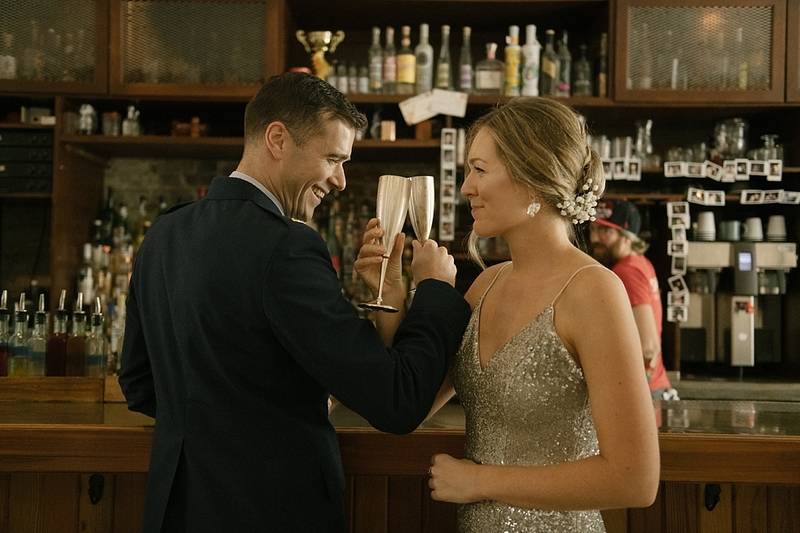 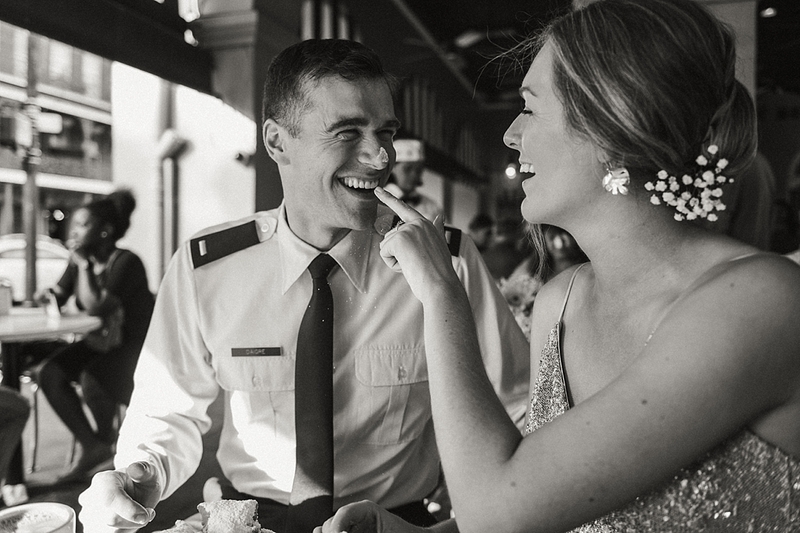 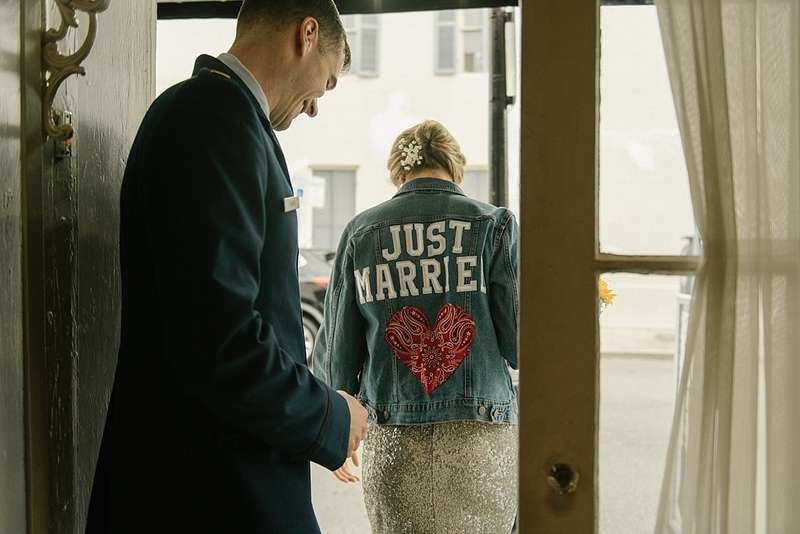 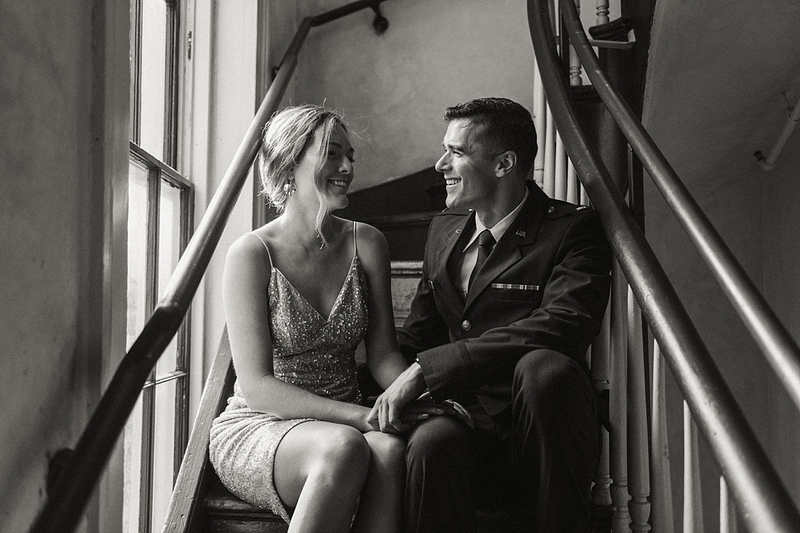 The day of their elopement Lana arrived in her silver sequined dress with her denim jacket and Rivet in his Air Force uniform. 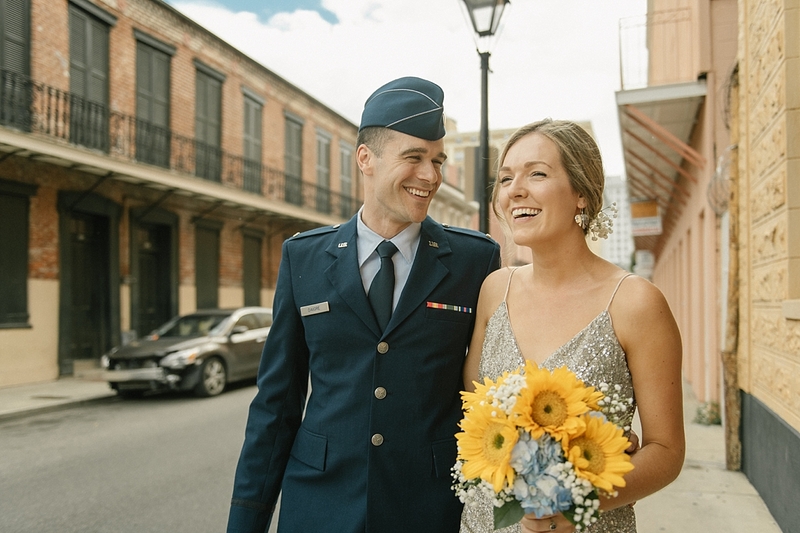 I learned about how they met during college in Switzerland, how they said ‘I love you’ before they started dating and how in one phone call they decided to elope. 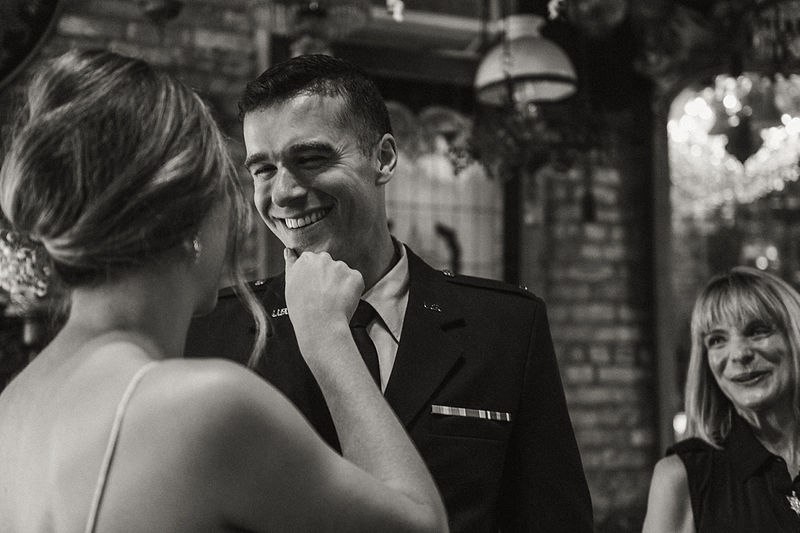 Their ceremony was short and sweet with a few tears from Rivets aunts. 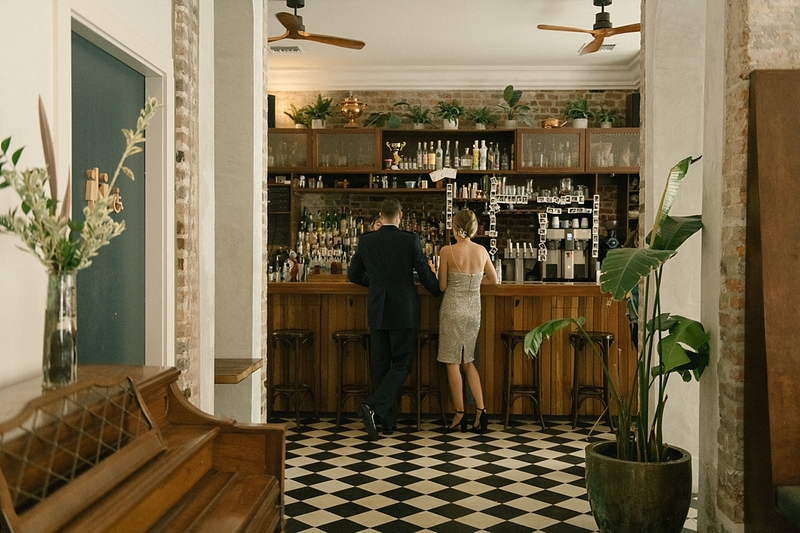 After signing a dollar bill and marriage certificate we headed over to The Catahoula where we sipped on champagne and took a few photos. 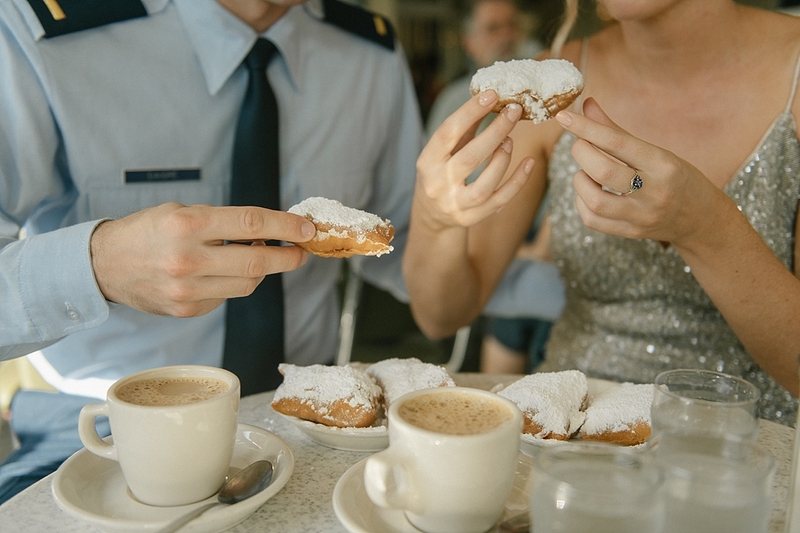 The day ended with us making our way to Cafe Du Monde for beignets.